Burano Island is a Venice landmark with rows of colorful houses and a quaint canal filled with boats. 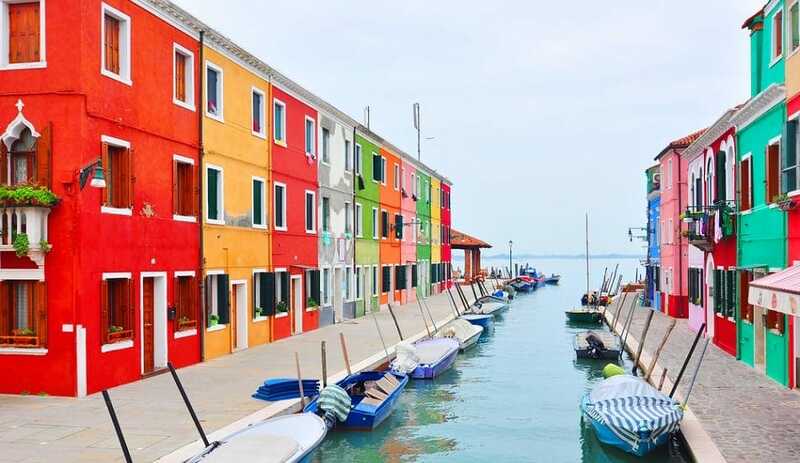 According to many travel magazines, Burano is listed as one of the most colorful locations in the world. Rumor has it that the houses were painted different colors so the fisherman could identify their houses when they were out on their boats.